This recipe is brought to you by Laura’s Lean Beef. As always all opinions are my own. Fire up the grill. 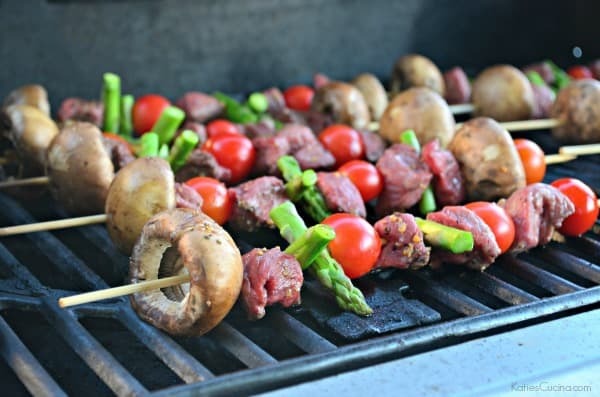 Today I’m sharing a delicious and healthy recipe for Beef, Asparagus, Cherry Tomato, and Mushroom Kabobs. We love making kabobs in our home. I grew up eating kabobs during the summer months with my family. It’s something I can’t wait to pass on to Ryder. As a kid I loved it because I could make my own kabobs. Making it extra special and then of course I would eat every single ingredient I placed on the skewer because I made it. If your kids are old enough I highly suggest you set out the ingredients and let them put together their own kabobs. Hands down they will definitely devour dinner. We also like to entertain with kabobs. We can prep them ahead of the time and let them rest in the refrigerator and then place them out on the counter before we are ready to grill. Plus who doesn’t love a kabob! They are super fun and a healthy dinner! I used Laura’s Lean Beef Sirloin steaks for these kabobs. I just used meat shears to cut the steak into bite-size pieces. I choose vegetables that would cook quickly and pair perfectly with the meat. I served the kabobs over a bed of quinoa and brown rice. The dinner was perfect just as pictured. 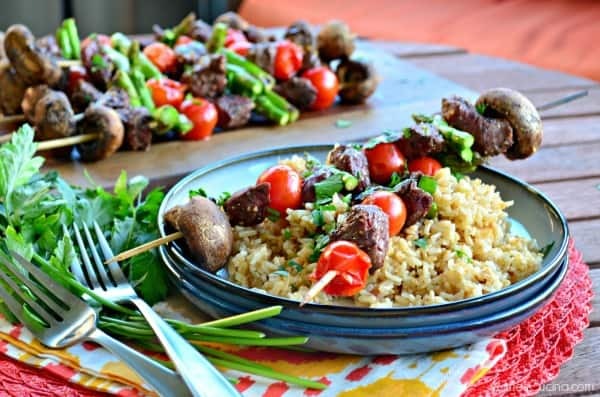 My husband and I devoured the kabobs and can’t wait to make this recipe again! 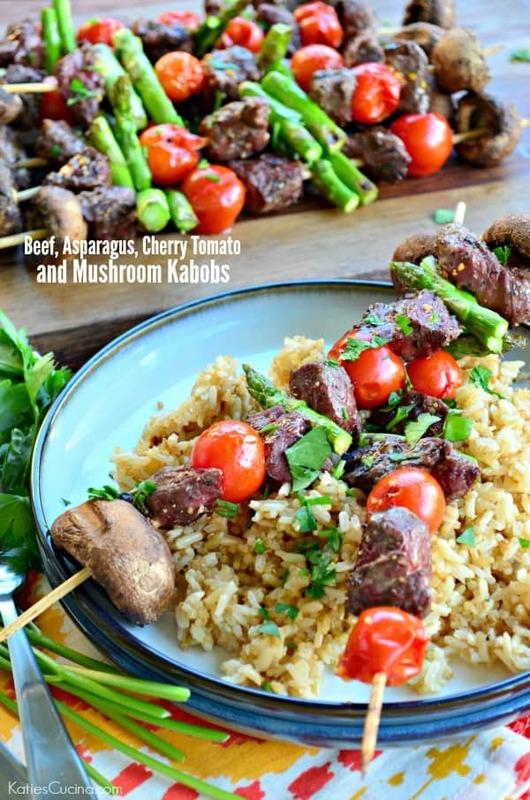 I’m sharing this recipe for Beef, Asparagus, Cherry Tomato, and Mushroom Kabobs over on the Laura’s Lean Beef blog today. Click HERE for the full recipe.